I’ve just received my Nomad and… it’s still in the box. It’s not going to fit on the table next to my laser – which may make it too much weight anyway. 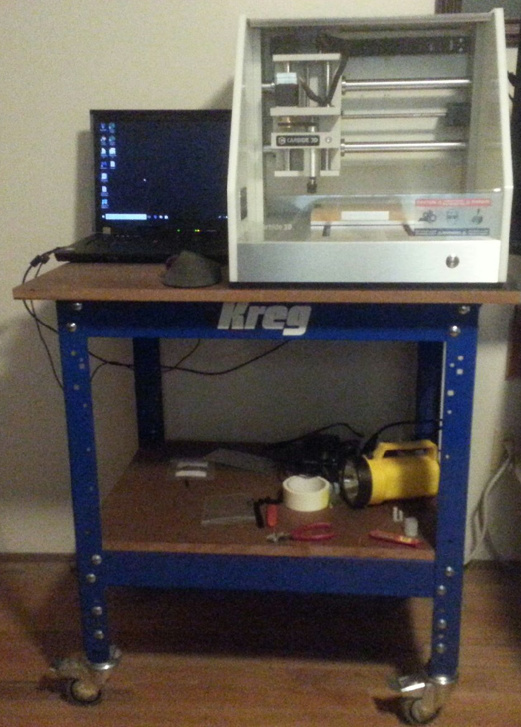 I’m thinking of getting a little workbench that the Nomad would fit on and just keep it off to the side. Does anybody have a suggestion that fits the Nomad with a few inches to spare? Thinking if it’s compact, it would be what I need, but also need something stable that won’t shake during usage. [If it’s too big, it creeps into the space I park my car, so that’s a factor.] 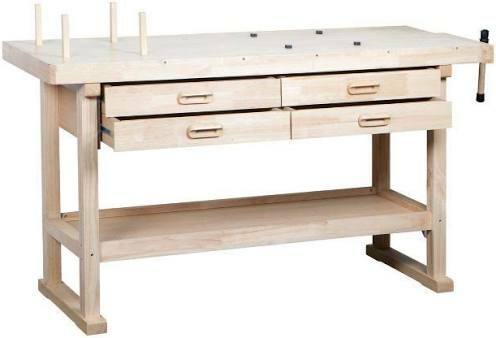 I was thinking of one of those little portable workbenches, but I have no experience with them. Any suggestions for under $200 (or more if it rocks)? What’s your Nomad on? I’d worry about it being top-heavy w/ a Nomad on it, but if you put some sort of weight on the bottom it should be okay. Mine is on a table in the basement, and I’m hoping to move it to my desk in my basement den. I got my workstation from eBay and I’m super happy with it. The laptop arm is an extra mod I did. Here are a couple from eBay. Can’t find the exact one I bought. 30" Tool Chest Box Steel Roller 4 Drawer Cabinet Rolling Drawer Cart Garage A1J9 | eBay! Awesome! I also need to see how level my garage floor is. Don’t worry about how level your floor is. Lock the casters and, if close enough to level, use a tapered shim to make it solid. If you don’t want to make a shim, buy a pack of plastic (moisture proof) door and window fitting shims at the home center. If not level enough, use tapered shims under the low wheels to level and make solid. Thanks for the great advice and reassurance! Mine is larger so I could have room for laptop. I bought this one at Harbor Freight and love it.